Park on the roadside at V91700 54569 A and follow Beara Way on a well marked track through the woods for 4.5 kms before the climb up the back of the valley under the Sugarloaf. 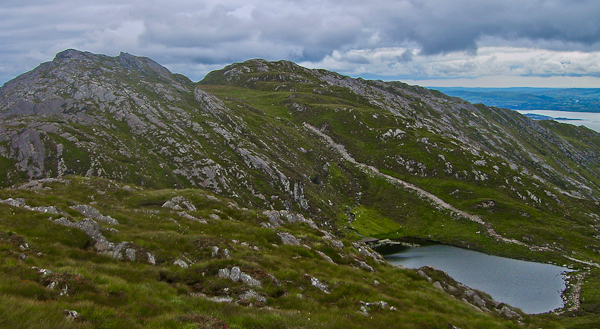 The Beara way is shown by a series of yellow posts up to and past Lough Tobernavaha. Just before the lake turn north and climb the rocky shelf to the summit.